Cake stands. I bet you about 99% of you have one. Maybe you have it on display already, maybe it's sitting on your kitchen counter right now, with a freshly baked coconut cake on it. Maybe you use it to proudly display your cupcakes. Or maybe, you don't use it at all and it's sitting in the back of your cabinets somewhere, all sad and lonely wondering why you don't love it anymore. So, today I want to talk about Cake Stands, and all of the ways you can use them in your decor! And you guys are in for a treat because none of these things involve actually using them to display cake. I mean, not that I have anything against using them for that purpose. 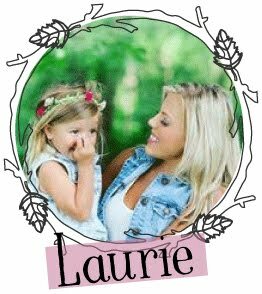 I'm sharing some of my favorite ways right here, right now- SPOILER ALERT. None of these things involve cake. I absolutely LOVE having this cake stand beside my kitchen sink. I've used it to corral hand soaps, dish liquids etc. I also use it to display flowers, candles and more. The options are truly endless! And who doesn't want something pretty look at while they're doing dishes. I mean, I spend so much of my time standing in this spot that it should at least be pretty, right?! Most vignettes need some height to balance everything out, and cake stands are a super great way to add height when needed. I've used my favorite white cake stand so often just for this purpose! I love using this silver cake stand I picked up at Target for keeping my lotions, sprays and everyday products handy. We don't have a master bathroom yet so I have to control the clutter on our bedroom dressers somehow and this is perfect! Plus, it makes for a pretty display. If you want to stick them in the bathroom, they are extra adorable to display soaps, hand towels and hand scrubs. 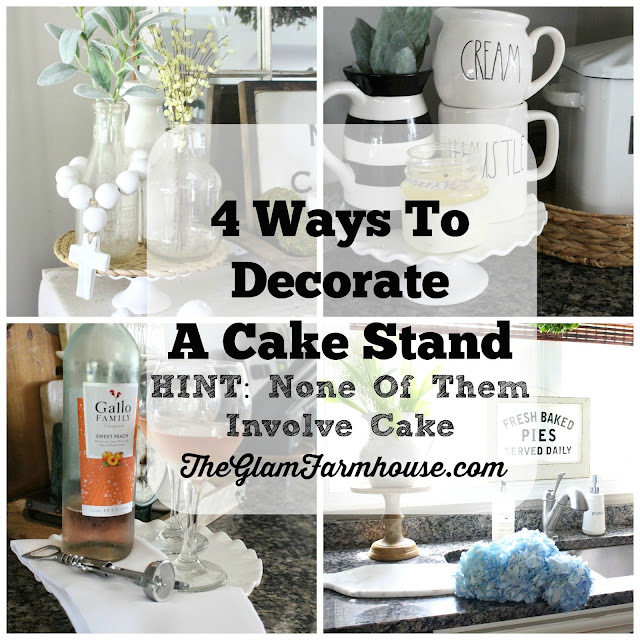 As you can see, Cake Stands can be super fun to decorate with! So play around and have fun! I'd love to hear about what fun ways you've used your cake stands! 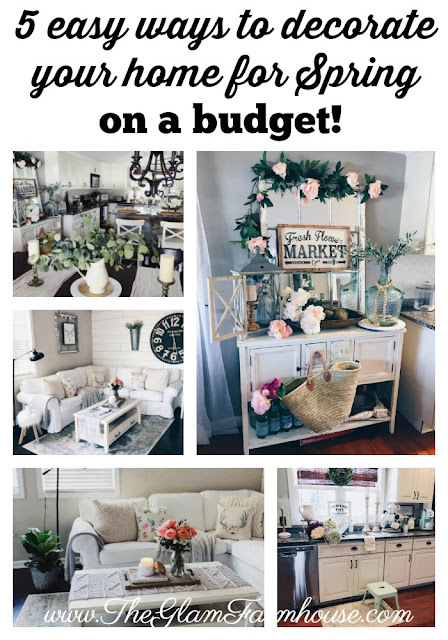 Leave me a comment below, and make sure you're following The Glam Farmhouse on Instagram, Facebook, and Twitter!! These are all beautiful!! I seriously love those mugs! Love all these tips!!! I love it by the sink especially!! !